The BLU Studio 5.0 just got a refresh with some tasty Magenta-flavored LTE support. A non-LTE version of the handset has been available for a little while now, and hosts some very acceptable features and specs for a device that only costs $249 SIM-free. It has a 1.4GHz Qualcomm Snapdragon 400 series quad-core processor. It also has an 8MP camera with HD video recording, a 1.6MP front-facing camera and a 5.0-inch display. Although the specs aren’t exactly mouth-watering, the device is clearly designed and priced as a mid/low end product. And, if the price doesn’t tempt you, perhaps the knowledge that it’s available in Magenta coloring will. Have you ever tried a BLU smartphone? Have you been tempted to? Let us know. Find out more about the BLU Studio 5.0 LTE here. I am using a Blu studio 5.0 II and is it great. It will be available in May. You mean in T-MOBILE US!? they are also making a Windows phone… Probably another low end device, but I like the look of some of their devices. As I understand it, these are popular in Latin America and the Caribbean. Finally some T mobile frequency’s. One issue with Tmobile is their stores lack of large phones not named Samsung Note. Sony has a large phone as do a few other manufacturers , but no tmobile. T-Mobile phones with the same size or larger screen than this phone: Google Nexus 5 by LG, LG G2, LG G Flex, HTC One M8, Sony Z1S. Oh, yeah, and the Samsungs. My Point being maybe now that Blu has our frequencies may be t mobile will sell them in store. HTC one max has no tmobile frequencies. Not mouth watering high end but if t-mobile could put these on the shelves rather than alcatel and huawei for the budget friendly crowd who wants just enough then it would be nice and would put BLU on the map for competition. This Blu would make a great back up phone. As far as I know they’re pretty terrible on updates. If you’re considering this device PLEASE look at the Moto X sale first. I’ll wait for the Samsung Galaxy K Zoom (mid May). Even though its smaller than my current screen size (Note2), and still questioning if Tmobile LTE bands are included. I’d still wager the Moto G is a better value for your parents/grand parents/ secondary device, despite it not having LTE. The Moto G I got my mother has a good build quality, Fantastic battery life, Superb screen, and she gets 12-15Mbps regularly (that’s not bad for HSPA+21 at all). She’s VERY satisfied with it, and so am I. There’s definitely a reason it’s sold so good. I’ve purchased one before. The first 5inch Blu product. I actually liked it a lot. The only problems I had was the network speed(because to the time it didn’t work with 4G on T-Mobile), and it was a bit to thick. Otherwise it was a pretty nice phone. I’ve had several BLUs, and they’re quality devices. I’m really happy with them. My Life One X has received two updates so far, and they’re guaranteeing 4.4. So I would highly recommend their devices. They lost me at 4GB internal storage. I wonder if T-Mobile will carry BLU’s upcoming Windows Phone device. Bring it, bring it at T-MOBILE US y’all! This device will do great…l have been using blu devices since day one….im currently using the blu studio 5.5s and l love it…now that they are adding LTE it will make it that much better….I hope t-mobile does’nt pick them up for the reason of the price going up. It will happen one day though….Congrats Blu….Keep up the good work. “Now available” you say? A month later and it’s no where to be found. So where is it? I just for this phone and I don’t think IRS compatible with Family Mobiles network (even if Family mobile is basically T-Mobile) because it does a terrible job of getting service. They sent me some message saying: Free Msg: We see you can’t access the Internet or send MMS. You will receive a free message on how to fix this. Use PIN 1234 if asked. Anyway, I don’t get any service at all with this phone and I don’t know why. Is there anyway to fix this? If so, the help would be much appreciated. 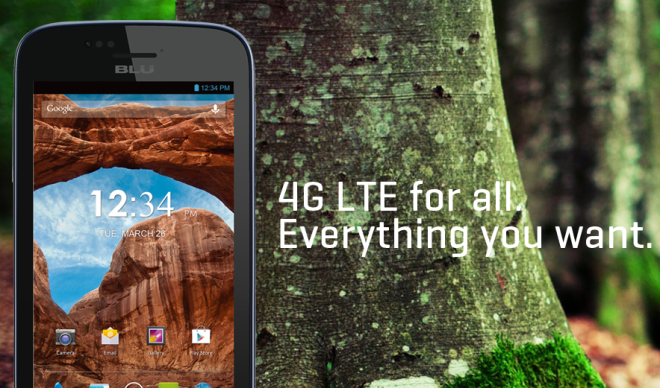 Do any of the Blu phones work on 4G for Tmobile yet?